4 Unexpected Benefits of Being Debt-Free - Something New Everyday! 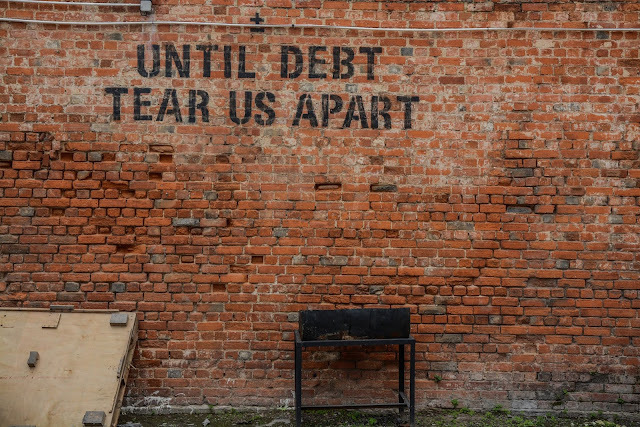 You might be surprised to learn that 8 in 10 Americans are in debt, according to a study by CNBC.com. While most people see this as a burden, other people believe it is a necessity, given today’s high standard of living. Still, while many Americans have a love-hate relationship with debt, nobody actually enjoys it. When your bills come in at the end of the month, it’s stressful to pay off both incoming and existing expenses—and even more stressful when your interest on a loan increases beyond your capacity to afford its payment. Being debt-free is therefore an ideal way of living, as you won’t be held back by any outstanding financial obligations. Once you motivate yourself to achieve zero debt, there are tons of unexpected advantages that will make you feel freer than ever before. Without being burdened by debt, you will no longer feel tied to a financial ball-and-chain. No longer will bills bog you down. Instead, you can now spend money on whatever you choose. Rather than handing over your earnings to a collector, you can choose to do things that you enjoy, like buying a new couch or planning a trip. Obviously, owing money to someone brings on anxiety. Knowing you have outstanding bills or interests to pay can be extremely stressful with a tight budget. But without having to scrape together all of your earnings to make a payment, you will have a huge weight lifted from your shoulders. You won’t have to worry so much about your finances, giving you freedom to breathe and be much less stressed out. Since you won’t be paying down any interest on loans or outstanding bills, you can instead put that money toward your savings account. This extra cash will be a huge boost to your savings, which is important for things like retirement or emergency funds. Rather than being forced to use your savings to pay your debts, you will not be able to reverse the cycle and bolster your savings account instead. When you don’t have debt, your credit score and other aspects of your financial health will improve, such as your debt-to-income ratio. While you may not be interested in having a high credit score, since you don’t want to take on any new loans or credit cards, it’s still useful to have good credit. For example, you can avoid paying deposits on things like cell phones or utilities, and even get better car insurance rates. With so many positives about being debt-free, it’s time for you to buckle down, adjust your budget, and find the inspiration to pay off your outstanding debts on time.